"If the outside reflects the inside, I would expect a six star stay" (Adjudicator Tidy Towns Competition 2015 on Glenbrook House B&B). Glenbrook House B&B is complimented for both it's 'inspiring' landscaping and hospitality. 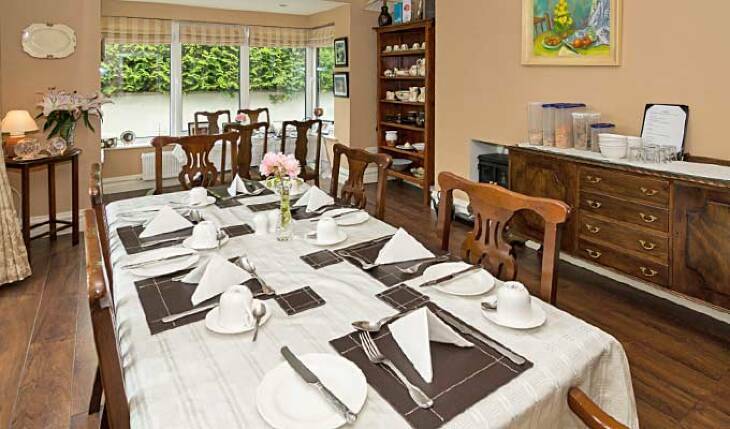 Experience a slice of authentic country life at Glenbrook House, Currow Village, Killarney, Co Kerry, where a warm welcome awaits you at this 4 Star Bed and Breakfast. 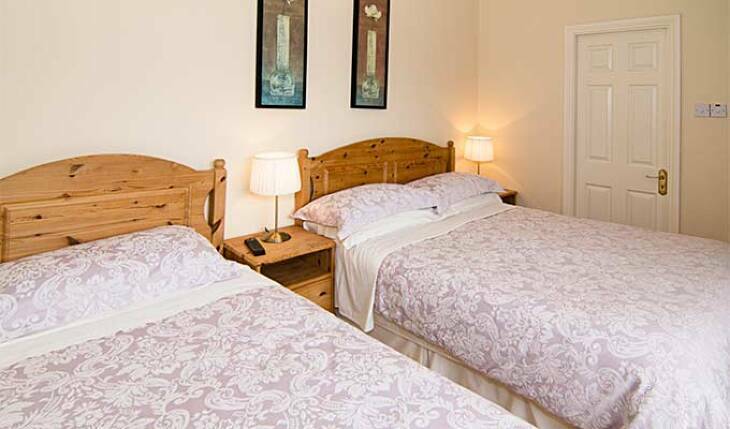 The closest bed and breakfast to Kerry Airport (airport transport can be arranged), it's the optimal base for touring Kerry's incredible landscape. 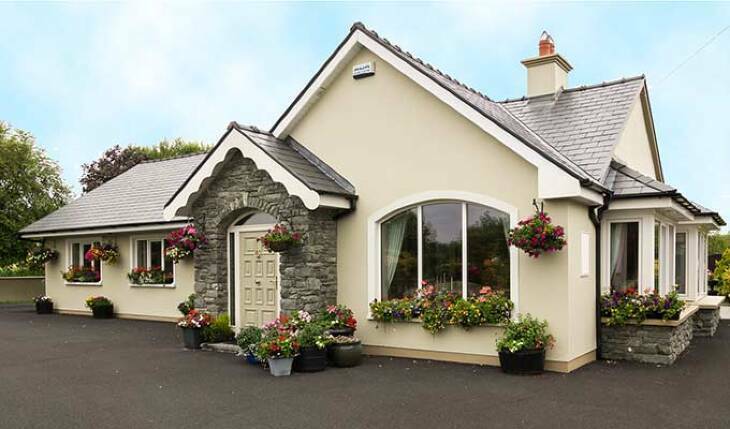 Locally, visitors can enjoy golfing, fishing, tourist trails, shopping (in nearby Castleisland- Kerry's fashion capital), as well as the quiet rural atmosphere of the village of Currow. 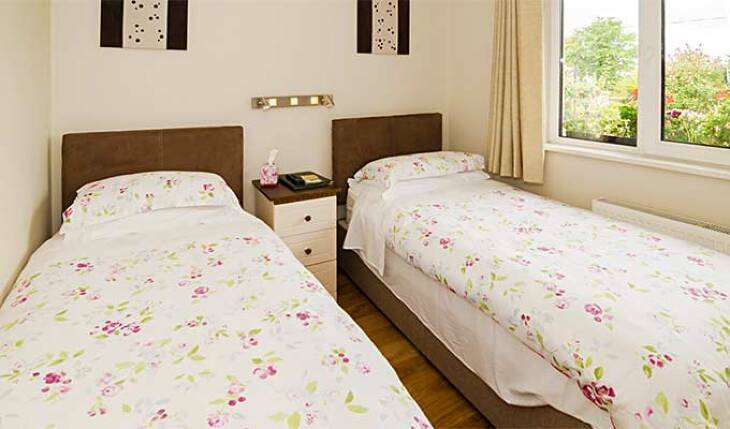 Rooms are decorated to a very high standard. Host Eileen O'Connor greets guests with a warm welcome of delicious complimentary home baking and tea/coffee on arrival, Tea/coffee making facilities in all rooms, hairdryer, TV, iron, extensive breakfast menu with early breakfast available. Travel agent vouchers accepted. Signposted off N22/N23 road. Complementary Wifi connection. Eileen runs a B&B that is at the same time professional and homey - a rare combination. Her hospitality is the epitome of that which the Irish have been known for for centuries, the location is at the gateway to the Ring of Kerrey, the Kerry airport and all of Southwest Ireland, the breakfasts are superb my two teen-age sons, now in their 20s, still talk about her breakfasts, and I'm hopeful that her schedule and mine will allow me many more pleasant stays in her warm, comfortable abode . . .
We stayed 3 nights at Glenbrook House B&B in august 2017. Our stay was perfect. 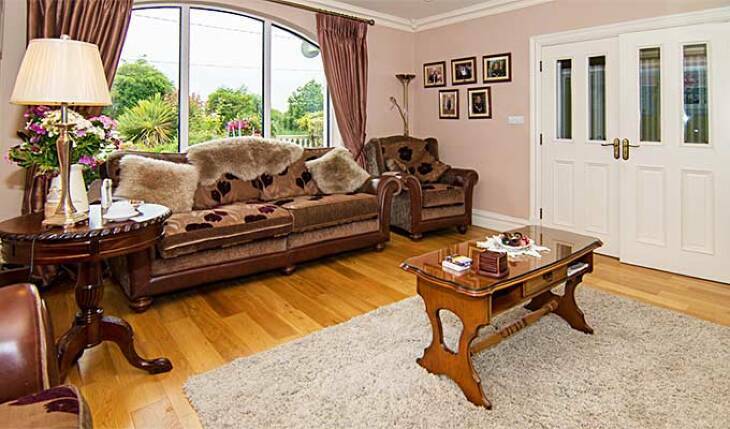 The house is very nice and the location is perfect for trips to the ring of Dingle and the ring of Kerry. Eileen offered an excellent breakfast and her recommendations for our trips were simply great. Thank you again for a very nice time! Wir waren 3 N�chte, ein super sch�nes Haus, sehr saubere Zimmer, hervorragendes Fr�hst�ck best pancakes ever!, g�nstige Lage f�r Ausfl�ge nach Dingle-Halbinsel und Killarney. Thank you, Eileen, for your hospitality!!! 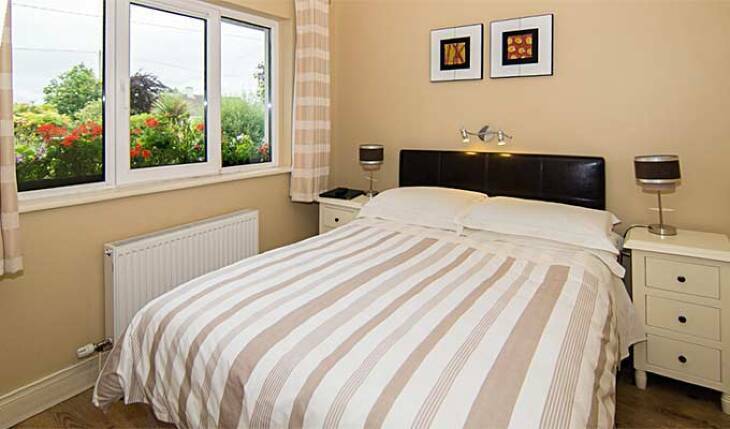 Very close to Kerry Airport - Five minutes off N23 / N22 - signposted.